Sauereisen SewerGard No. 210 is an aggregate-filled epoxy material. This lining system is specifically designed to protect concrete surfaces of municipal wastewater treatment structures and collection systems from chemical attack and physical abuse. No. 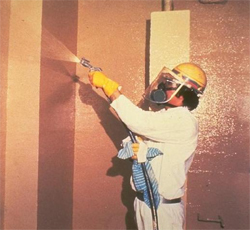 210's nonsagging application properties permit economical repair and protection of vertical, horizontal and overhead surfaces of both new or rehabilitated substrates. When cured, No. 210 provides an impermeable, high strength, corrosion-resistant lining for manholes, lift stations, grit chambers, aeration basins, and related structures subject to infiltration and attack from hydrogen sulfide and acid generated by microbiological sources. Resistant to corrosive conditions common to the municipal wastewater treatment industry. Trowelable nonsagging consistency ensures ease of application on vertical and overhead surfaces.